New for 2019 from Sugarhill Brighton is the Kate retro jungle stripe dress in off white and navy. 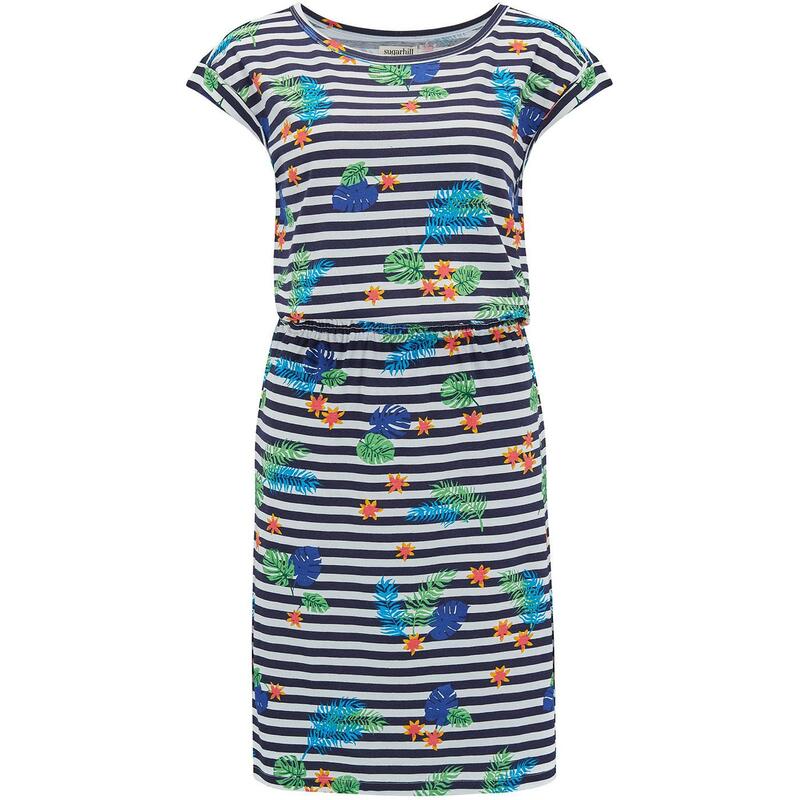 This sassy summer dress consists of Breton stripes with a bold and vibrant floral pattern. Kate has short capped sleeves and is a mixture of Sugarhill's Breton top and their Hetty dress with an A-line skirt that falls above the knee. 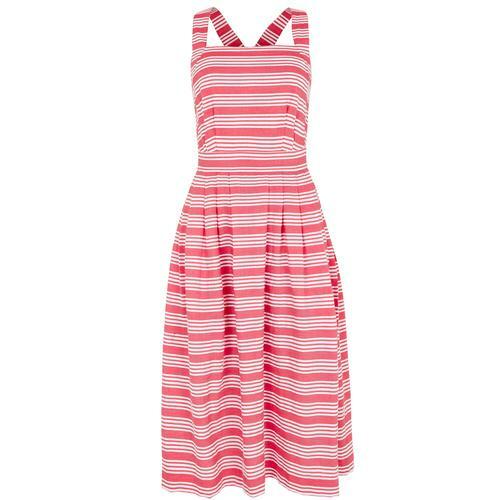 This cool summer dress even has pockets! Kate retro jungle stripe dress in off white/navy from Sugarhill Brighton. 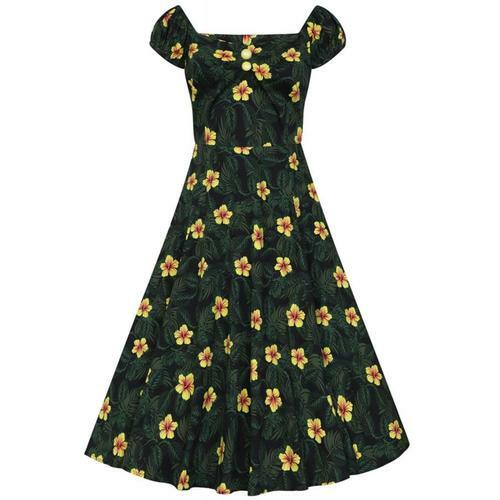 Floral and leaf print on Breton stripes.